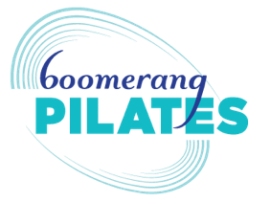 A former professional contemporary dancer turned Pilates instructor and Thai Massage practitioner, Mary Beth lives to see her clients find deep strength and endurance, improve alignment and feel empowered within their body. Her training is vast and varied with a foundation in science, anatomy and functional movement. She holds a BFA in Dance as well as Pilates training through Body Harmonics, STOTT and The Loft Academy with a special focus on athletic injuries. Other courses include York University's Kinesiology program, alignment training with Marie Jose Blom, and Yamuna Body Rolling. Mary Beth also holds certificates in Thai Yoga Massage from The Old Medicine Hospital in Chiang Mai and The Still Light Centre in Toronto. She is a self admitted cheerleader, creator of endless analogies, and lover of RuPaul's Drag Race.